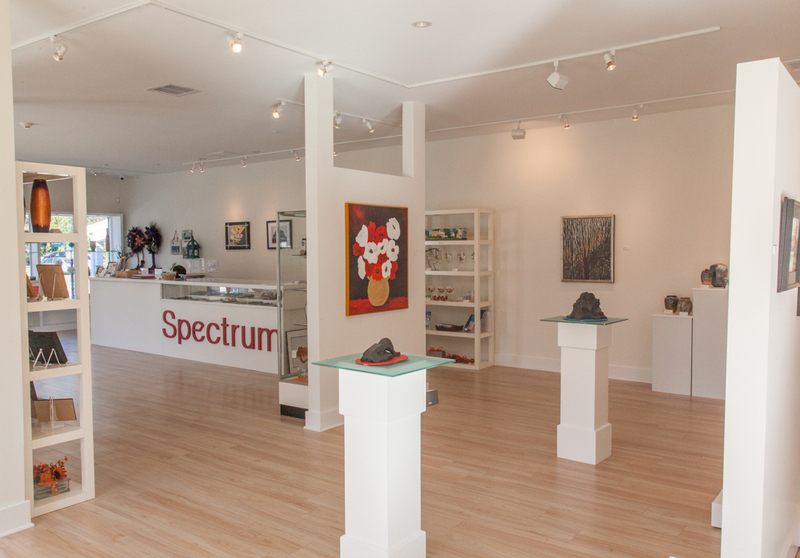 Spectrum Art Gallery in Essex, CT opened April 2014, an addition to the Arts Center Killingworth, a non-profit arts organization founded in 2003, serving the Connecticut shoreline and river valley from New Haven to Hartford, including Madison, Guilford, Chester and Old Saybrook. Spectrum showcases regional and national artists and artisans, both emerging and established. In addition to presenting painting, sculpture, photography and mixed media, the Gallery includes an Artisan Store which offers fine crafts in diverse mediums such as fabric, glass, ceramics, paper, pottery, jewelry and more. 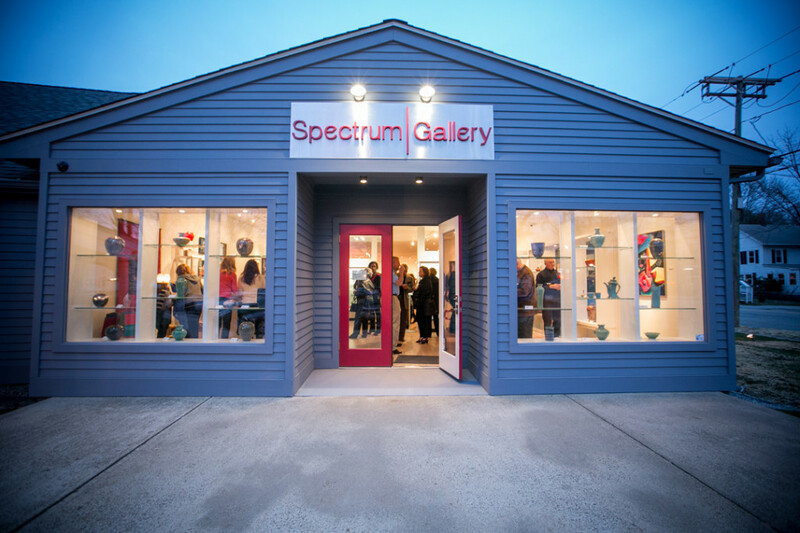 Spectrum has become one of the premier art galleries in Connecticut, offering a variety of opportunities and venues for artists to display and sell their work. Spectrum features artists through themed exhibits in the Gallery, in the Artisan Store, on Spectrum Anytime– our online shop and in the Annual Autumn Arts Festival on the Madison Town Green. Exhibits are enhanced by events such as receptions, discussions, demos and family activities. Interested artists may contact us here to submit a biography and digital images of work for consideration in exhibiting and selling work in the gallery and/or store. Please donate here to support the Arts Center Killingworth and Spectrum Gallery. Donations are fully tax deductible.